The first half of 2015 saw a 50% increase in DDoS attacks. They are not only becoming more frequent but they are getting more sophisticated too. On average, a DDoS attack will cost an SMB company €45,000 and an enterprise €400,000 – not to mention the damage done to the corporate image or share price. In other words, a DDoS attack might not only paralyze your online presence but could also be disastrous to your overall business continuity. Data breaches and DDoS attacks are the most common threats to your website. Just take a look at these statistics: according to Kaspersky Labs, 74% of companies that suffer a DDoS attack face another security incident at the same time; 26% of these incidents are data breach attempts or data leaks which means these attacks are not primarily meant to take your website offline but are a diversion to get to your data. These are so-called layer 7 attacks: the hackers divert your attention to get your eye off the ball by disrupting the availability of the website while they quietly try to exploit any vulnerabilities in your web applications. What can you do to prevent a DDoS attack? During a recent webinar, we gave our partners and customers a sneak preview of the new Leaseweb Cybersecurity Services. This is a cloud based web application security platform which, in a nutshell, provides all the key technical security solutions you need in one single platform. We offer this on a monthly subscription basis. It has a next generation Web Application Firewall (WAF) that was developed by Leaseweb with 600 Gbps DDoS protection. And, because it is based on a distributed architecture, it will make your website more secure against sophisticated attacks without impacting its speed. For the new Cybersecurity Services, which further enhance our CDN solution, Leaseweb has deployed a series of points of presence (PoPs) all over the world. 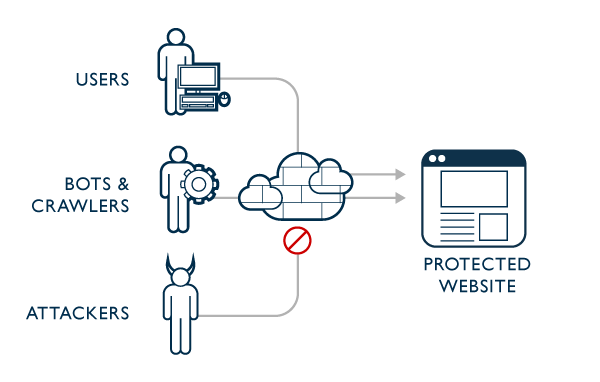 Positioned ‘at the edge of the network’, we use them to prevent and block malicious botnet-type attacks to your site. Best of all, since these PoPs are far away from your data center, your web applications will remain unaffected even if you are under attack. As a Leaseweb customer you will have your own control panel, designed by security IT professionals, so that you access a comprehensive overview of all of your different web applications and websites (no matter how many) while zooming in on all relevant aspects of performance, optimization and security. Curious to know how you can protect your web applications and websites from cyberattacks? Watch the recording of the webinar, download the PowerPoint presentation and try our entry level cybersecurity solution for free. TechSummit Berlin: Interesting speakers, awesome venue – get your ticket now!